Michael Cook, Vice President of Planning & Landscape Architecture at Firma Design Group, declared his candidacy for the City Council of Santa Rosa. The election is in November, and he looks forward to hearing from all of you about your thoughts on what can make the City of Santa Rosa (where Mike lives with his wife, Kerri, and two daughters: Leilah (3) and Brenna (9 months)) a better place!!! See below for the Press Release and we hope that if you are supportive of a collaborative business and environmental councilman, that you will support Mike for City Council! Santa Rosa, CA – Northwest Santa Rosa resident Mike Cook, a small business owner, urban planner and landscape architect, father, volunteer and a recent member of the Santa Rosa Design Review Board, has entered the race for Santa Rosa City Council. Cook, the Vice President of Planning and Landscape Architecture for Firma Design Group, made his decision to run for City Council believing Santa Rosa needs a voice that balances the need for economic development with long-range, sustainable planning. Mike is married to his wife, Kerri, and together they have two daughters: Leilah (3) and Brenna (1). Mike Cook is an active member of the community, serving on boards and committees of several organizations and non-profits. He recently received an award for Young Professional of the Year from Petaluma Young Professionals Network (YPN), one of the Forty under 40 awards (2011) and Top Project in the Landscape Category (2012) from the North Bay Business Journal, served on the Board of Directors of the Santa Rosa Chamber of Commerce, was Chair of the Santa Rosa YPN and served on the Board of Directors of Habitat for Humanity of Sonoma County. Mike also has prior public service in Marin County, serving on Novato’s Bicycle and Pedestrian Advisory Committee, Parks and Recreation Commission and was a co-founder of the Novato Rotaract Club. Mike’s top priorities as a candidate are to proactively look at policies that will promote job creation and economic prosperity in our community, improve the quality of life for Santa Rosans and find the right balance between environmental stewardship and business-friendly policies. Mike will use his background in resource planning and sustainability projects to help our community accomplish these goals. Cook attended California Polytechnic State University at San Luis Obispo, California and received his Bachelor of Landscape Architecture degree. Do you want an easy way to save water? The City of Santa Rosa is hosting a series of two day workshops that will teach you how to install a graywater irrigation system, it’s that easy. To save water, reuse the water that is being used by your laundry machine…it’s that easy! Mulch – The superpower for your Garden! There have been a few blog posts about mulch, but never before have I disclosed the big secret that mulch is one of the most important aspects of maintaining your garden and keeping your water use to a minimal amount. After reading an article by Meg McConahey about mulch in the local newspaper, the Press Democrat, I thought I would also provide my input on how to best use it. Mulch comes in a variety of forms, colors and textures. You can get recycled palettes, recycled wood products, redwood bark, compost, vineyard clippings/pomace, and much more. But what is important about mulch is the sealing of the moisture into the soil and also the decomposition of the mulch and providing nutrients to the soil. 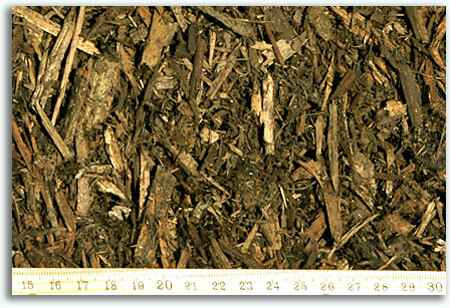 With the decomposition of mulch, it does need to be replaced at least once per year, and most recommend twice per year. Keep it at least 3″ thick and away from tree trunks, new plantings and anything that it could burn or stain (i.e. the side of your house!). There are numerous producers around Sonoma County, including Grab N Grow and Sonoma Compost. You can also get it at your local landscape supplier, like Wheeler Zamaroni, Inc. Please don’t hesitate to contact Firma Design Group for any other tips or treasures about landscape, and we’d always be interested in helping you with your landscape design, planning, or engineering services. Did you know that Firma Design Group has been an EPA WaterSense Partner since early 2010? As a Certified Landscape Irrigation Auditor, Michael Cook, Vice President of Planning & Landscape Architecture, has allowed FDG to be a partner with the EPA for the past two years.